At Relais Palazzo Paleologi , you can finally relax by doing yoga classes! Forget the stressful life of the city and come and recharge your batteries with us. Our Relais offers the possibility to practice yoga during the stay with single or group lessons. To detach from the frenetic pace of daily life we ​​propose a yoga session lasting about an hour and a half to be held in the client’s apartment , with necessary (ie mats, pillows, music …) made available by the structure. The lessons are held in the afternoon hours from 16 to 19.30 at a cost of 30 euros per session, and not per person. 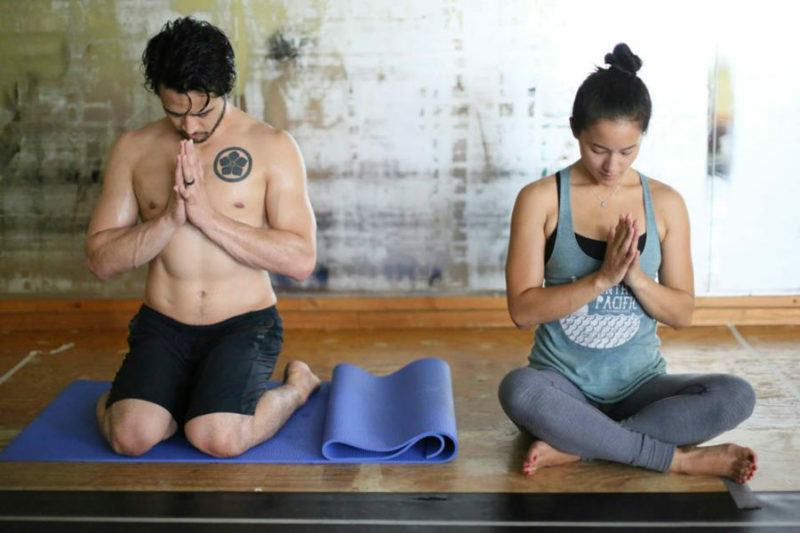 Usually the yoga session includes meditation-visualization, pranayama techniques, asanas (hatha yoga and vinyasa) and final relaxation in savasana. We offer the right context for holidays aimed at their psychophysical wellbeing thanks to the tranquility and beauty of the location and to the other activities proposed. The Relais Palazzo Paleologi is therefore the right location to unplug the daily frenzy by following the yoga classes we organize. Comfortable clothing is recommended for practice. You can check availability and make reservations for your yoga class together with one of our rooms by clicking on the button below. The yoga class must be booked at least t days before arrival . For more information on prices and service call the number (+39) 0131.741507 or contact us via email!